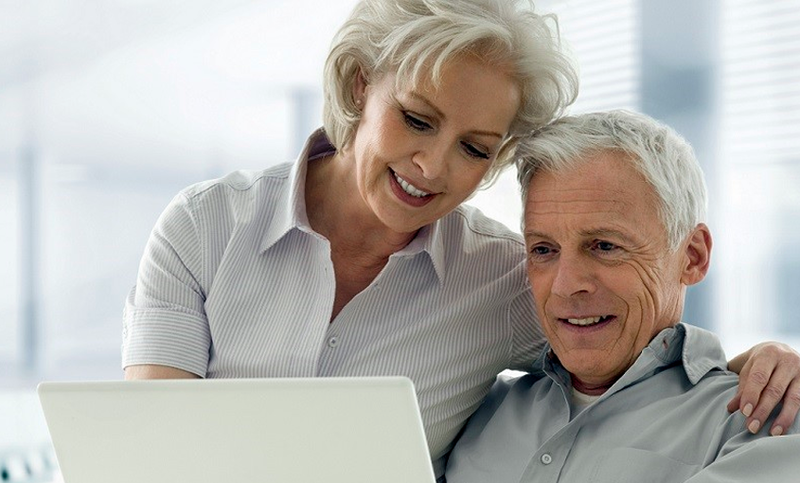 What is Long-Term Care insurance? Like other types of insurance, long-term care insurance requires insured to pay a premium on a regular basis so that he/she does not have to pay a lump sum in the future in the event of a catastrophic illness or condition. Long-Term Care Insurance benefits can start as early as the first day in the event that you lose the ability to take care of yourself. It provides a daily benefit to the insured while the dependency on long term care facilities or home care is required. In addition, two generations can be protected; parents and children. It helps parents maintain their lifestyle and financial security by providing the resources needed to remain independent, even in the face of a serious health problem that may require one spouse to care for the other. At the same time, it gives children an alternative to providing their parents with the care themselves. The most common reasons that people need Long-Term Care Insurance are: • a prolonged illness, such as cancer; • a degenerative condition, such as Parkinson's or a stroke; • a disability ; • a cognitive disorder, such as Alzheimer's disease. Although there are no guarantees in life, it is easy for one to take abilities for granted. Long-Term Care Insurance can help reduce the uncertainty about one’s ability to pay for care. Statistically, as shown below, Long-Term Care is more common than one expects. • About 50,000 strokes occur in Canada each year. Stroke is the leading cause of transferring from hospital to long term care facility; • 1 in 11 Canadians over age 65 is affected by Alzheimer's disease or related dementia; • 7% of Canadians age 65 and over reside in health care institutions; • An additional 28% of Canadians age 65 and over receive care due to a long term health problem, although they do not live in a health care institution. Seniors require assistance for various long-term health problems. These health problems range from chronic conditions such as arthritis, to cataracts or Alzheimer's disease. Caregivers perform many tasks for seniors such as personal care, medical care (assistance with medical treatments or procedures), care management (scheduling or coordinating care giving tasks), transportation, as well as housekeeping. There are many things to consider when determining your needs, including current income requirements, long term care costs in your area and other annual expenses. For instance; • Accommodation in a long term care facility can cost $800 to over $5,000 per month depending on the room type and level of government funding available in your province. • Private home care services range from $12 to $22 an hour for homemaking and personal care. Nursing care can be between $18 and $60 an hour. • More than one-third of Canadians age 45 – 64, who provided informal care to a family member or friend, incurred extra expenses as a result of their care giving duties. If you have extended health or other benefits, you will need to understand exactly what they cover, and whether that coverage will end at age 65. Long-Term Care Insurance can pay for long term care, either in an institution (such as a nursing home) or in a residence (such as an assisted living facility or even in one's own home). Most people prefer an assisted living arrangement rather than living in a nursing home, so they can benefit by having insurance help pay for what they prefer. One out of every two people will need long-term care at some point in their life time and over 70% of those over 65 will require long-term care. Long-term care can be: • skilled nursing care, or • custodial care to help with daily living activities Environmental settings for long-term care can be: • in a nursing home; • in an assisted living facility; • in your own home; • in an adult day care center. Long-Term Care Insurance is for anyone who: • has assets to protect; • is not wealthy enough to pay for long-term care out of savings; • is healthy now . Why plan ahead and purchase Long-Term Care Insurance early? • For as long as you pay your premiums, a policy is usually guaranteed renewable once you have the policy in place; • The premium is based on your age at the time of enrolment for insurance, and therefore a low premium is usually locked in for the life of your policy. Features you should consider when applying for long-term-care insurance Stability of the insurer Look for reputable carriers that have provided Long-Term Care Insurance for a long time. Settings for care Seek out a policy with flexibility in the application of benefits (also referred to as an "alternate plan of care"). For example, you may want to choose from various nursing homes, assisted living, adult day care centers, or care at home. A Facility-Only policy covers for care received in a licensed Assisted Living Facility or Skilled Nursing Facility, but not for care in an unlicensed facility or in your home. A policy with Integrated Home Care at 100% covers for care received either in a licensed Assisted Living Facility or Skilled Nursing Facility, or in an unlicensed setting, such as your home. Type of care Read the policy carefully to find out which of the following is covered: • Skilled nursing care; • Custodial care; • Home health aides. Benefit period The average nursing home stay is 2 ½ years. One can insure for the average stay or insure for a longer stay if necessary. This can prevent financial burdens on one’s family if the insurance policy stops paying. It is recommended that one takes the longest benefit affordable. Choose how many years the company will pay for care: • 2 years • 3 years • 4 years • 5 years • Unlimited number of years Eligibility criteria One becomes eligible for benefits from most long-term care policies when help is needed with two or more Activities of Daily Living (ADLs). These ADLs are: • cooking • eating • bathing • dressing • using the toilet • maintaining continence • moving from place to place within the living environment Price of the insurance The price of Long-Term Care Insurance varies by your current age, the amount of coverage you want, the options you have selected, and the carrier. Other options Some insurance carriers experiment with options for those who purchase a long-term care policy when they are young; for example, the insured may be permitted to purchase an option to have premiums returned to the beneficiary if the policy owner never uses the policy.